It’s been a day to remember for Kristiansand stopper Sean McDermott. SEAN MCDERMOTT RECEIVED his first senior call-up for Ireland today ahead of next month’s matches with Wales and Poland. He was born to a Norwegian mother and a Donegal-born father in Kristiansand. He grew up in Norway, but has represented Ireland at underage level from U15 to U21 level. He played for Arsenal at youth level, spending time on loan at Leeds, before embarking on a career in Norway with Sandnes Ulf, Start, Ull/Kisa and his current club Kristiansund. He joined Arsenal as a 15-year-old in May 2009 following a successful trial, but was released just three years later. Nevertheless, he holds no ill will towards the London club, describing his stint there as “very, very good for me and my education”. He enjoyed a positive debut campaign with his latest club, Kristiansund, appearing regularly. In their first-ever season in the top flight, they finished eighth out of 16 teams in the Eliteserien. He is a good shot stopper, comfortable with the ball at his feet, and a commanding presence in the box as the video below illustrates. He caught the eye last season in particular, picking up his club’s fan’s Player of the Year award. He suffered a setback aged 19. Having been first-choice stopper for Sandnes Ulf, he lost his place after the club brought in Icelandic number one Hannes Halldorsson. He struggled to get game time in the subsequent season with Start, before finding his feet again in the second tier with Ull/Kisa. Email “All you need to know about the Norway-based goalkeeper who's received his first senior Ireland call-up”. 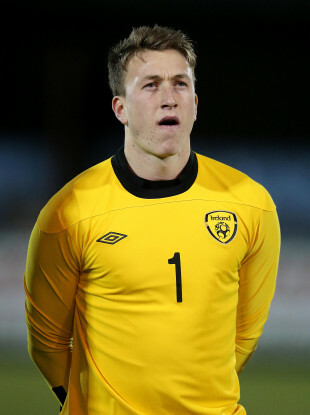 Feedback on “All you need to know about the Norway-based goalkeeper who's received his first senior Ireland call-up”.